Bluntisham is a village in the Huntingdonshire district of Cambridgeshire, England. It is near Earith and east of St Ives. The villages of Colne, Woodhurst, and Somersham are close by. The prime meridian passes through the western edge of Bluntisham. The village of Bluntisham is situated on the edge of the Cambridgeshire Fens. Its Church, beside the main road from St. Ives to Ely, stands high enough to give a good view, with the Earith bridge a mile away to the north-east. In winter the flat meadows surrounding the village are often covered with flood-water and become a haunt of wild swans, and the venue, when they are frozen, of the Bury Fen ice-skating championships. 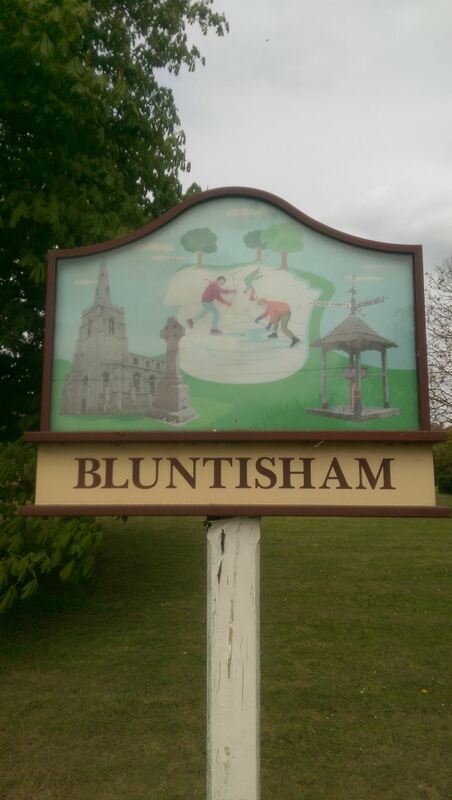 There is evidence to suggest that Neolithic and Roman inhabitants once settled in Bluntisham. The manor of Bluntisham goes back to the early part of the 10th century, when it was seized by Toli the Dane, who is said to have been the jarl or alderman of Huntingdon. Toli was killed at the Battle of Tempsford in 917, at which point the county returned to the rule of Edward the Elder. Bluntisham later became the property of Wulfnoth Cild who sold it circa 970–75 to Bishop Æthelwold of Winchester and Brithnoth, the first Abbot of Ely, for the endowment of Ely Abbey. The sale was confirmed by King Edgar, but when he died in 975 a claim was made by the sons of Bogo de Hemingford, who believed that it was the inheritance of their uncle. Their claim was declared false at the county court, and the sale to Ely Abbey went ahead. Bluntisham remained under ownership of the Bishop of Ely until the dissolution of the monasteries, when it was granted to the dean and chapter of Ely. Valentine Walton was appointed governor of Ely in 1649 for his services to Oliver Cromwell's Parliament. Upon the Restoration, it was restored to the dean and chapter. In 1869, it was taken over by the Ecclesiastical Commissioners, who remain lords of the manor.